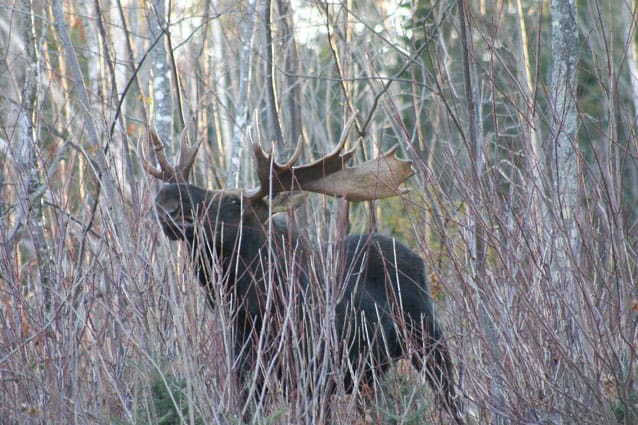 Vermont is estimated to have 2,400 moose statewide. This year, 225 regular moose season permits will be issued, representing a 21 percent decrease from the 285 permits issued last year. Hunters are expected to harvest close to 110 moose during the regular season hunt, Oct. 17 to 22. An additional 40 permits are designated for the Oct. 1-7 archery moose season when hunters are expected to take about 12 moose. Alexander estimates Vermont has 2,400 moose statewide with the greatest concentration in the Northeast Kingdom. Permit applications are available on the Vermont Fish & Wildlife Department’s website, www.vtfishandwildlife.com. Printed applications will be available from Vermont license agents in early May. The lottery-based applications cost $10 for residents and $25 for nonresidents. The deadline to apply is June 10. Winners of the permit lottery will purchase resident hunting permits for $100 and nonresident hunting permits for $350. Hunters also will have the option to bid on five moose hunting permits in an auction to be announced later.